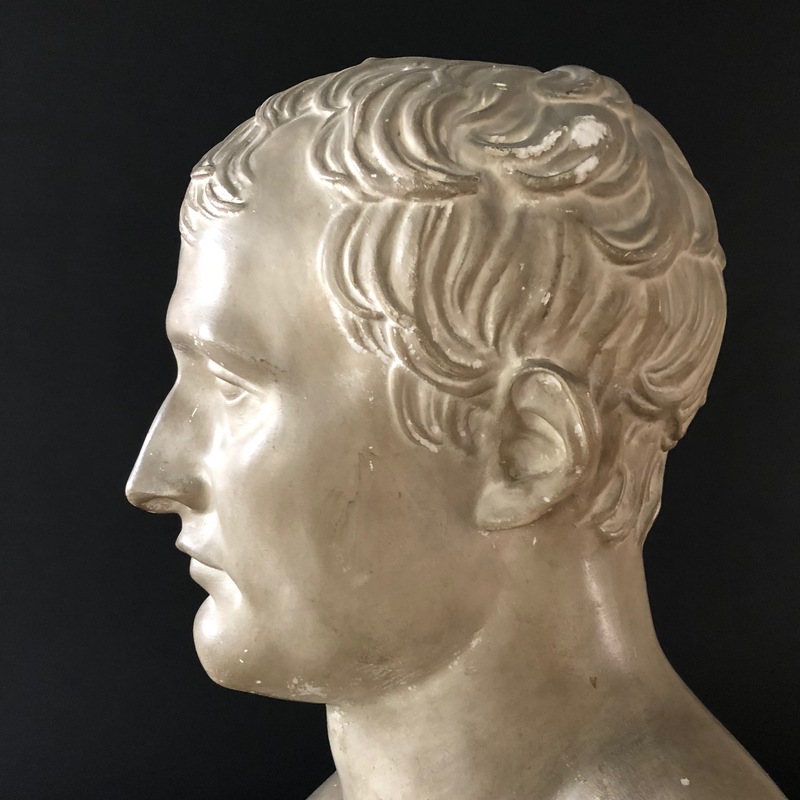 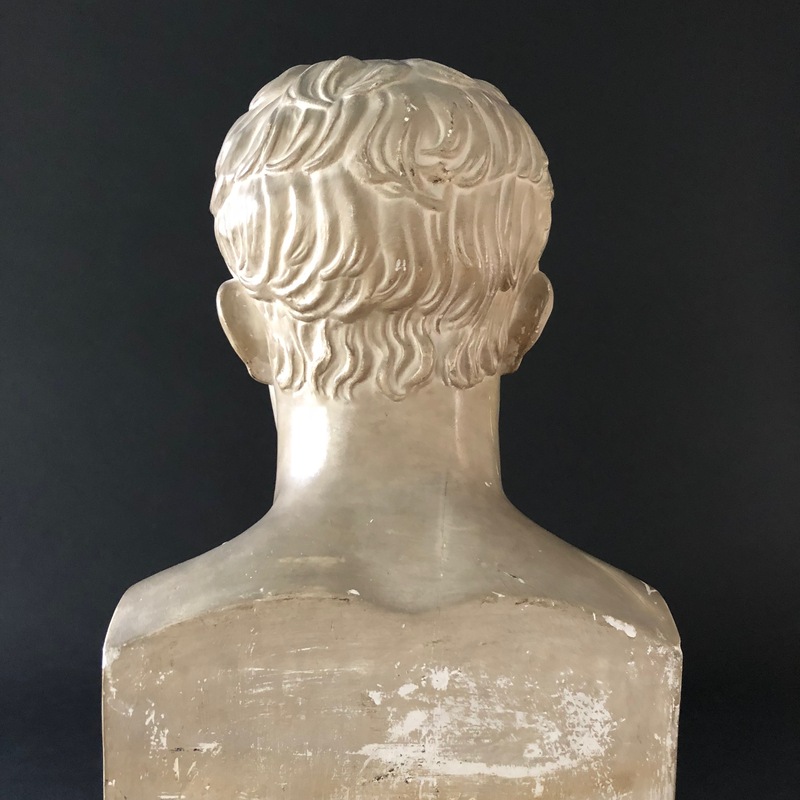 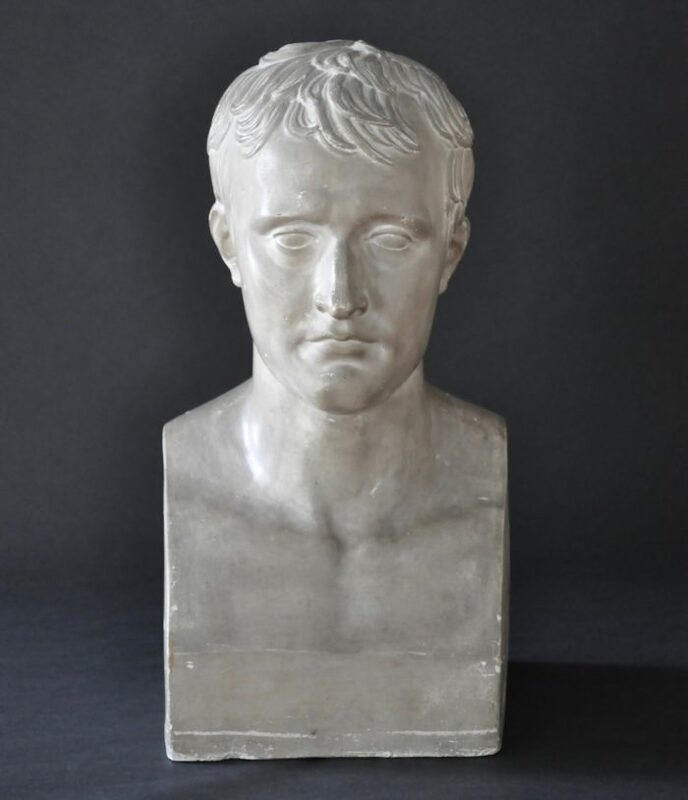 This life-size plaster bust depicts Napoleon Bonaparte after Canova. 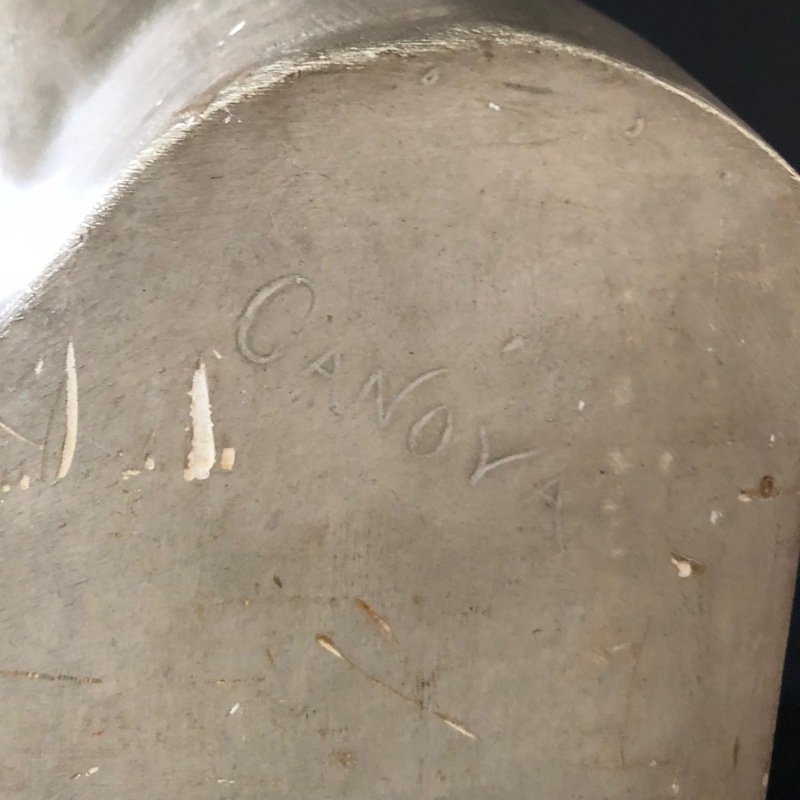 The brass tag on the rear reads: P.P. 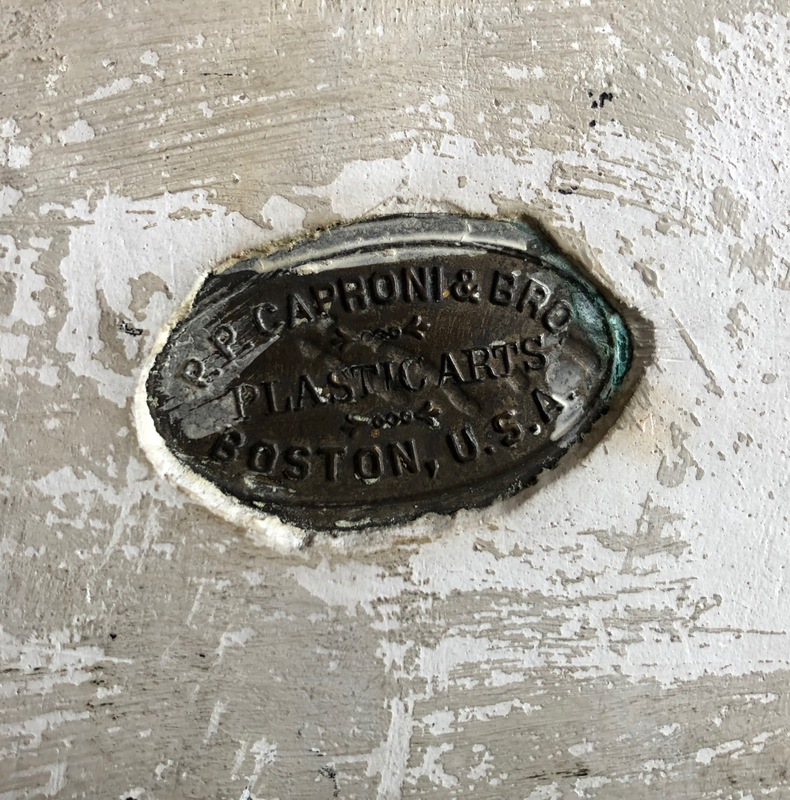 CAPRONI & BRO / PLASTIC ARTS / BOSTON, U.S.A.